My Cheating Spouse: What Impact Does Infidelity Have on Divorce? Almost every meeting with a new divorce client starts with a recitation of all the reasons that the parties are getting divorced. High on that list is infidelity. Clients will provide me with loads and loads of evidence that their spouse is cheating and are surprised to find out that all this “proof” of infidelity is unlikely to impact their divorce. Indiana is a no-fault divorce state which in basic terms means that the reason the parties are divorcing is not a factor considered by the court when dividing up the parties’ assets and debts. The reason or grounds for divorce that is most commonly used in Indiana divorce petitions is that there has been an “irretrievable breakdown” in the marriage. It is important to know that there does not have to be a consensus on whether the marriage is “irretrievably broken”. 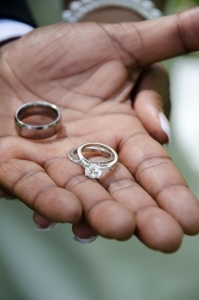 As long as one party alleges that it is “broken”, the divorce can be granted. So, does this mean that your spouse’s cheating will never be relevant in a divorce proceeding? Not necessarily; there are a couple of incidents where it may play a factor. The first is dissipation. There is a presumption in Indiana that all marital assets and liabilities be divided equally. There are several ways that you can rebut that presumption. Dissipation is a factor that the court may consider when deciding to divide the marital estate. If you can show that your spouse used marital assets on another person during your marriage that may be considered dissipation. For example, spending money on travel or gifts for the “other” woman or man may be considered dissipation and warrant a deviation from the presumptive 50/50 division. In addition to being a factor considered in the division of property, a significant other may be a factor in a custody determination. The court will not correlate one’s fitness to be a parent with their faithfulness as a spouse. However, the court may consider the parent’s judgment with respect to when and if they introduce their children to the other person. Generally, it is not wise to introduce children to a new girlfriend or boyfriend too soon after the separation. The Court would also be concerned about the parent’s judgment if their new significant other poses a danger to the children. Exposing the children to someone who is abusing alcohol or drugs or that has a history of abusing children, would impact a custody determination. Although the law in Indiana does not take punitive measures against the cheating spouse, there are limited circumstances where it may be a factor in the divorce process. As these cases are fact sensitive, it is always a good idea to discuss the specifics of your case with an attorney to determine what if any relevance your spouse’s actions will impact your divorce. The attorneys at Harden Jackson practice exclusively in the area of family law and are skilled at handling any type of family law case. While divorce and legal separation are the more common areas of practice, we have extensive experience with custody, child support, pre/post-marital agreements and more. If you have questions about divorce in Indiana or other family law matters, please contact Harden Jackson Law. Tagged: "Indiana divorce" and "infidelity and divorce"